Welcome gym tiME! Please provide your information below and CLICK SUBMIT when complete. ALL discounts will be applied prior to being charged. (i.e. discounts, membership fee etc.) Once your account is adjusted your payment will be processed immediately. Please remember to indicate Full Payment or 3 payment option. A $10 fee will be issued for utilizing our 3 payment option and applied to your first installment. The first installment is due upon registration. Choose any filter available to begin viewing available classes. Pro-rated classes are available after the first week, however, we are only able to pro-rate from the start date intended and not able to use pro-rating for prior notice of missed classes. Make ups are available please see our Make up Policy for details. 3. I willingly agree to comply with the stated and customary terms and conditions for participation. If I observe an unusual significant concern in my readiness for participation and/or in the program itself, I will remove myself from participation and bring such to the attention of the nearest instructor immediately. 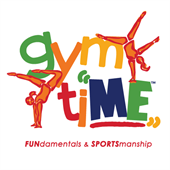 I UNDERSTAND I AM ASSUMING ALL RISKS INHERENT IN GYMNASTICS WHETHER KNOWN OR UNKNOWN, AND THAT BY SIGNING THIS DOCUMENT I AM GIVING UP MY RIGHT TO SUE GYMTIME LLC, of Easton, PA. whether caused by negligence of said persons or entities. I VOLUNTARILY CLICK TO AGREE THE ACCEPTANCE OF THE ABOVE PROVISIONS and further agree that no oral representations, statements, of inducements apart from this agreement have been made. I WANT MY CHILD/SELF TO PARTICIPATE IN THIS HAZARDOUS SPORT. I HAVE READ THIS DOCUMENT. I UNDERSTAND IT IS A RELEASE OF ALL CLAIMS. I agree to gym tiME's policies and procedures as it pertains to online enrollment/payment. 1. I give permission for ALL ONLINE REGISTRATION to be paid using my choice of Credit Card or ECheck (Bank Information required) as indicated below in the "payment section" of this form. I hereby give gym tiME, LLC permission to treat and/or have myself or my underage child transported to the St. Lukes Bethlehem Hospital should a medical emergency occur. I Agree that gym tiME, LLC retains the right to use any photographs, video tapes, motion picture recordings, or any other record of my child's attendance for the gym's website, publicity, advertising, or any legitimate purpose. My signature confirms that I understand and agree that my child's picture (without name) may be used on publicly accessible areas of the gym tiME's website. If you have selected to utilize our payment option you have agreed to the follow policy. A credit card MUST be on file and will be charged automatically on the dates provided. A charge of $10 will be added to your first payment for choosing our 3 payment option. By registering for a class you are committing to all 3 payments and your credit card will be charged for all 3 payments. In the case of a withdrawal from the program you agree to follow gym tiME's refund policy. No make-ups will be refunded or taken off the last payment. Each student enrolled is entitled to 2 make up classes during each session. All make up classes are REQUIRED to be scheduled in advance in order to ensure appropriate class numbers. Make up classes are limited to the current session - they can not be applied to future sessions. We STRONGLY recommend scheduling your make-ups in advance, as we can only accommodate 2 makes up per class. In addition, make up classes are scheduled by staff for days gym tiME closes due to weather or holidays. Make ups are NOT transferrable and a refund/credit will NOT be provided. I have read and agree to gym tiME's Refund Policy stated below. 1. Prior to the first scheduled class: a 100% refund will be given, however, notification must be PRIOR to the first class. 2. Prior to the 3rd scheduled class: a pro rated refund will be given for the session MINUS the 3 classes. 3. After the 3rd scheduled class: No refunds will be applied. All withdrawals will be dated from the date notified in person or in writing. 4. Any filled events with a waitlist will not issue a refund for a no-show. Without prior notification we are unable to fill that spot.